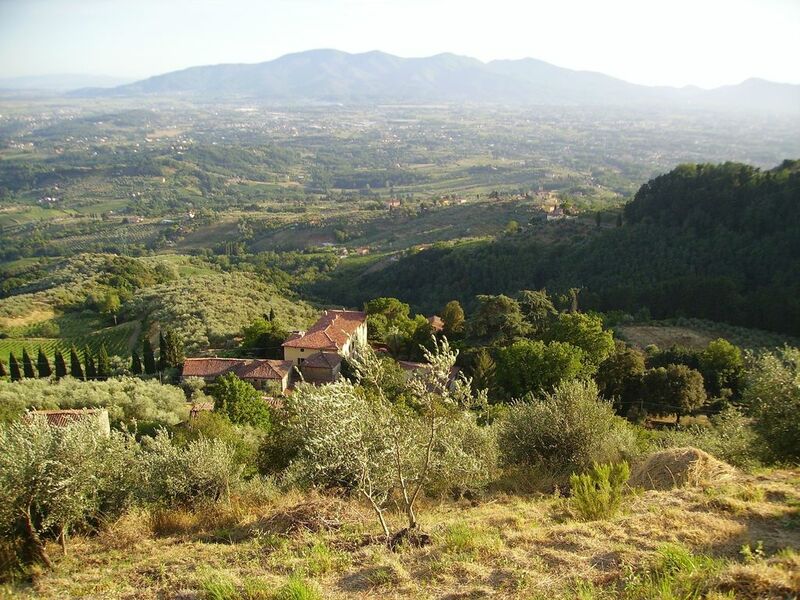 Room in old organic farm on the hills of Lucca, ideal for a relaxing holiday alone, as a couple or in a group, for those who love life outdoors. A Campagnola alternative for family reunions, small ceremonies and weddings. On the hills of Lucca among olive groves, vineyards and woods, the Fattoria di Petrognano is a 150-hectare organic farm dominated by a villa-farm complex of the 17th century with its traditional oil mill and its cellars. Here you produce a fine extra virgin olive oil and wine D. O.C., and offer relaxing stays in old farmhouses or private rooms with B & B service, not to mention the succulent dishes in our typical restaurant. For those who love nature and country life, for those who love walking in the woods, for those who look up to watch the flight of a pair of buzzards in love, for those who appreciate a glass of red wine and a slice of bread and oil in front of a sunset, for those who love horses, the sound of bells, flowers, fresh spring water ... all this is the Farm of Petrognano! In addition to Petrognano, Collodi and the Pinocchio Park are only 5 km away, Lucca, the Ville Lucchesi and Montecarlo are within 15 km, and in less than an hour you can reach Pisa, the beaches of Versilia, the Apuan Alps and the marbles of Carrara, the Tuscan Apennines and the Garfagnana, the thermal baths of Montecatini. Finally, Florence is only an hour away by train! As you can see, we have everything ... except luxury!